A wise man once said, “Don’t ask someone if he’s intelligent, but rather what intelligence he’s blessed with.” Someone’s intellectual ability is not more decisive than his emotional intelligence (EQ) when it comes to achieving happiness and success in life. In fact, emotionally intelligent people have healthier human relationships than others, which help them to achieve their career goals and enjoy a better life. Self-awareness: Being conscious of your own feelings, the way they affect your behavior and your thoughts, and how your thoughts in turn affect them. Knowing your strengths and weaknesses is part of it, too. Self-management: Being able to control impulsive feeling and behavior whenever you believe it to be in your interest. Mastering yourself or becoming as “free” as you can be, in other words. A very desirable human attribute, isn’t it? Social awareness: Being conscious of other people’s feelings, concerns and basic needs and wants as human beings. Also being able to enjoy and take part in human interaction, recognizing the power and dynamics in groups. Relationship management: The capacity to enjoy long-established relationships with other people, maybe sharing common interests, where the different parties influence each other while enjoying their company, being able to manage conflicts. Now that we have seen that emotional intelligence has nothing but positive sides to it, let’s have a look at how to enhance and improve emotionally-intelligent self for your own benefit by following a series of healthy procedures. Study who you are, the way you reflect yourself in the world around you and the way the world around you reflects itself in you. Get to know you better, your good and your bad, the way you behave in different situations, how things affect you and your feelings and why. Keep your feet on the ground, but your eyes on the stars. Don’t be afraid of having dreams and have the courage to fight for them actively in your everyday life. Push yourself. Emotionally intelligent people know what they want and they know how to get it, with motivation! Sometimes it can be very hard to control our impulses and emotions. Some people get more affected than others by what is going on around them. It is important to know when to say no and to be able to manage our natural impulses to a certain extent in order to gain control over our lives. Some psychologists would argue that, in most cases, the ultimate reason people fail to achieve happiness is simply because we just don’t value it enough. Try abandoning your comfortable bubble where you have established what is good and bad and let yourself conform to happiness. It can be just as simple as that. Psychopaths are clinically defined as people with no empathy whatsoever. Therefore, we hope you are not one of them. In most cases, people tend to restrain their empathetic feelings as a defense mechanism. Being able to feel identified with other people’s emotions is a very important attribute to acquire, which is also crucial to establish authentic relationships with others. Something as basic and fundamental for us as enjoying human relationships is the key in order to raise your emotional intelligence. Listen carefully to what other people are saying, don’t just wait for your turn to say something interesting. Show others you understand them to gain their respect and establish stronger links. What clearly distinguishes an adult from a kid is simply that an adult has commitments and responsibilities. These responsibilities come with consequences and negative sides we all suffer from and share in common, allowing us to understand and help each other. Be responsible for your acts, so you become more aware of the world around you and your role in it. No matter what we do, we are all connected in this world. Therefore, it can be very beneficial for all of us to remain positive and try to make the ones around us happy, even if it requires effort from us sometimes. Happiness is contagious and always welcomed! Now, leaving aside how nicely-sounding “emotionally intelligent” sounds as a feature, here is a list of reasons why you might want to consider it more carefully. Emotionally intelligent people have less trouble managing their level of stress. Stress can, in some cases, be very detrimental for our health. It can raise our blood pressure, debilitate our immune system, contribute to infertility and make us more prone to suffering heart attacks. Some believe most of the human malaise and unease is generated in the mind, sometimes expanding to the physical realm of our self. Even if you don’t, the incapability of managing your emotions makes you more vulnerable to depression and anguish. It’s also harder to build proper relationships this way. If two or more people trust one another, are sincere with each other, and enjoy their mutual company, we can say they have a healthy relationship. Therefore, it is crucial that the ones involved communicate their emotions effectively while understanding the feelings of the ones surrounding you. This can be applied as well as to relationships at the workplace. 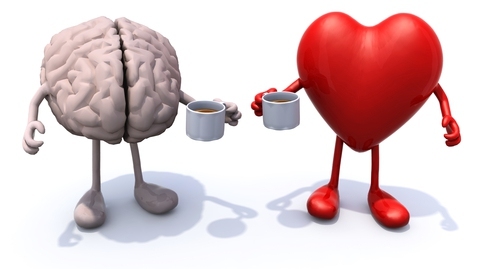 Emotional intelligence is being increasingly valued by businesses nowadays. To be at our maximum productivity while at work, we should be able to stimulate others by having a dynamic and positive attitude and providing effective and efficient response and results, and we must be able to manage our emotions as well. Server responsed at: 04/23/2019 6:23 a.m.